Next Level Running is coached by Melina Buck of Buffalo, NY. She has coached hundreds of runners, of all ages and levels, from sprint events through the ultra-marathon distance. Melina has also coached herself for a long time, continuously and aggressively pushing to the next level. She is infatuated with the NYC Marathon, running it the last nine years in a row and not planning to stop. So far, Melina has raced 14 marathons, including also two Boston Marathons. Her fastest was this year’s Berlin Marathon, finishing in 2:59:43. She also enjoys racing half marathons, trails, Ragnar Relays, and the occasional stiletto run, and fundraises for Shoe4Africa’s NYC Marathon charity team each year. With a background in exercise and sports psychology and a Master’s Degree in Kinesiology from Temple University, Melina’s training techniques are cultivated with a balance of science and true passion for the sport of running. 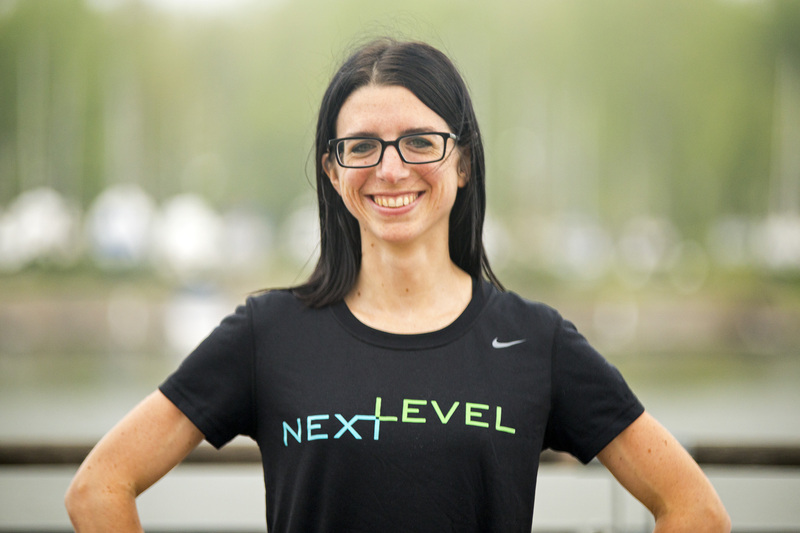 Understanding the mental aspects of physical activity and their importance in running competition, Melina is extraordinarily passionate about getting runners to the next level. Eager to create something new for Buffalo runners, Melina developed a customized training experience and partnered with IMPACT Sports Performance to capitalize on their expertise and state-of-the-art facility in the heart of reemerging downtown Buffalo. Next Level is all about creating the right training program for you, whatever your goals are, whatever your fitness level is, and wherever you train.